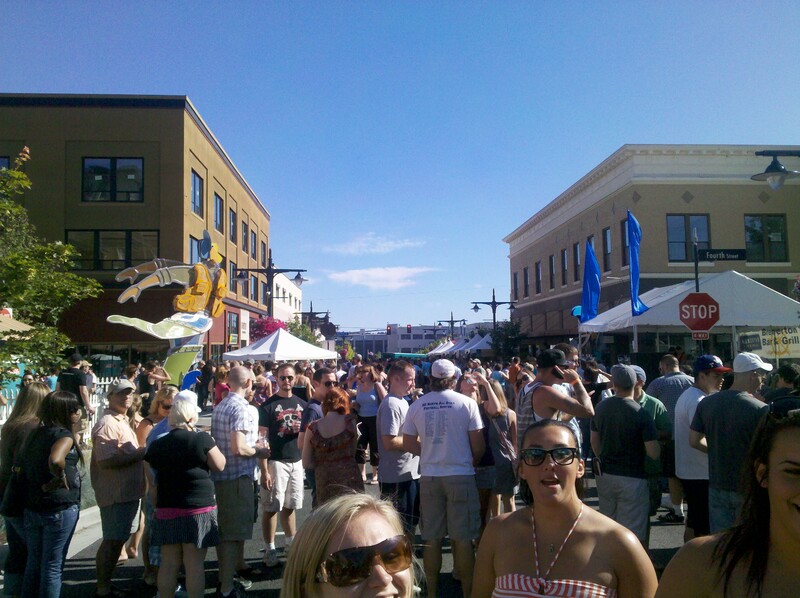 Beautiful blue sky, 85 degree weather, and 23 micro-breweries…what a great day! Well…for the most part it was. 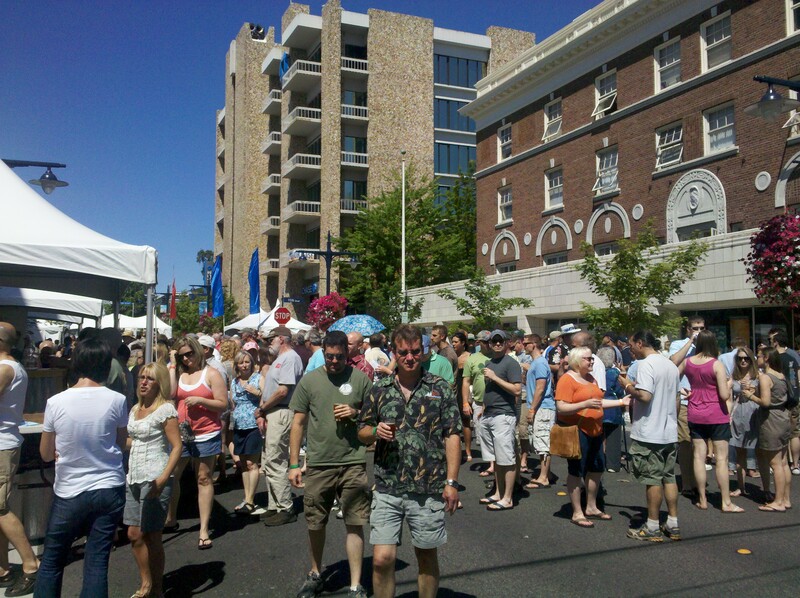 The first annual Bremerton Summer BrewFest on Saturday was packed full of some of Washington State’s best brewers pouring some of their finest, and quirky, beers. Over 50 beers were served, sipped, discussed and spilled. But it was quite apparent there are some bugs that need to be worked out before the 2nd annual is held. Let’s discuss the low points a little later. Right now let’s get into the high point of the day…the beer. Below I have listed my top 5 favorites. #5 Summer Rain Pale Ale – Battenkill Brewing Co. (5.8% ABV) Poulsbo, WA – This wonderful pale ale is like orange blossoms in a glass. Sporting a beautiful orange blossom nose and sweet honey finish, Battenkill brews this great summer ale with NW Pale ale malt, Simcoe and Amarillo hops, and a bit of Orange Blossom Honey. Summer Rain is a sweetly refreshing, light and crisp ale and one of my favorite beers of the day. #4 Curly Tail Pale Ale – Slippery Pig Brewery (5.0% ABV) Poulsbo, WA – Unusual brew, and wicked good. One of Poulsbo’s newest breweries has created a deliciously fun pale ale brewed with 10 lbs of stinging nettles. This dark red ale is a little sweet and a lot sour. Very similar to the increasingly popular sour beers, but not quite as tart. Great job Slippery Pig! #3 Mt. Walker Wheat Ale – Hood Canal Brewery (4.0% ABV) Kingston, WA – Who doesn’t love gum balls? 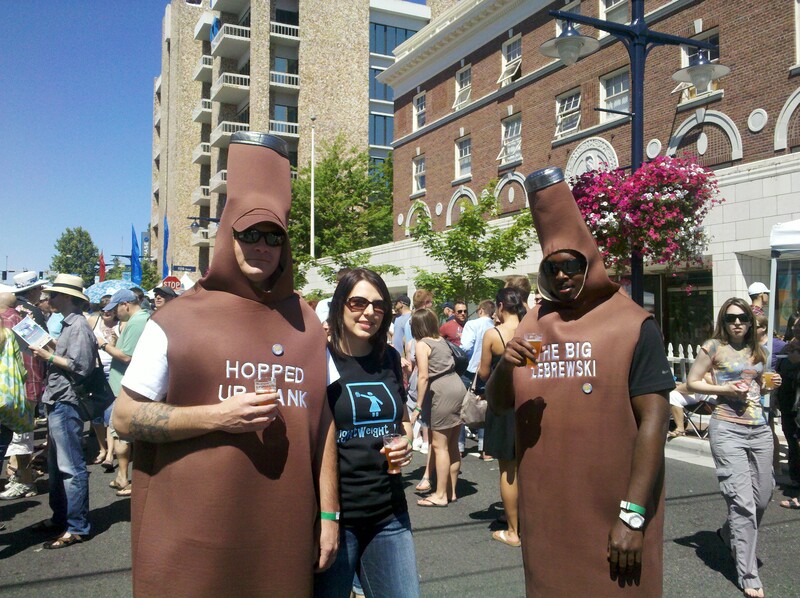 Another fun beer making an appearance at the BrewFest, the Mt. Walker Wheat smells like bananas, wheat, and flowers. The taste is just as tantalizing with flavors of banana and gum balls. I know it sounds strange and overly sweet, but trust me…you will have a hard time putting this one down! #2 Loser Strong Pale Ale – Elysian Brewing Co. (7.0% ABV) Seattle, WA – One of my favorite breweries in Washington created one of my favorite beers of the day. Both my hubby and I loved this beer! Elysian uses quite a few different hops and malts creating a very well-balanced, crisp pale ale that has what I can only describe as a “rice crispy” finish. Medium bodied and yummy! Force was (Yoda voice) after my first sip of this awesome beer! Brewed with an organic, steamed green tea called bancha, Port Townsend created a truly refreshing, flavorful beer unlike any I have ever had before. I had to take it slow while I enjoyed this brew because it was very easy to forget I was not drinking an iced green tea! MMMmmmmm (Yoda voice again)What a gem!!!! Now for the low points…unfortunately, the brewers began running out of beer around 3:00pm and still had 6 hours to go! We cut the organizers some slack because, after all, this was the 1st annual BrewFest and perhaps they underestimated what the turnout would be(about 4-5,000 people showed up!). But hopefully next year they will be a bit more prepared. There was absolutely no place to sit unless you found a curb and the only shady spots were under the baby trees that lined the street. There was 1 food cart that served hamburgers and hotdogs but again, no place to sit and eat it and there wasn’t a bottled water or soda in sight. Live bands provided some entertainment, but, for the third time, no place to sit, not even a tree stump, anywhere! Overall, we had a pretty good time and will give it a go next year, but will be bringing my own chair… and umbrella hat… and food. Info for Slippery Pig Brewery can be found on Facebook.